The annual Corinthian Yacht Club of Seattle PSSC regatta is the local championship regatta marking the traditional end of the racing season in Seattle, though there is great racing through the winter on Puget Sound. 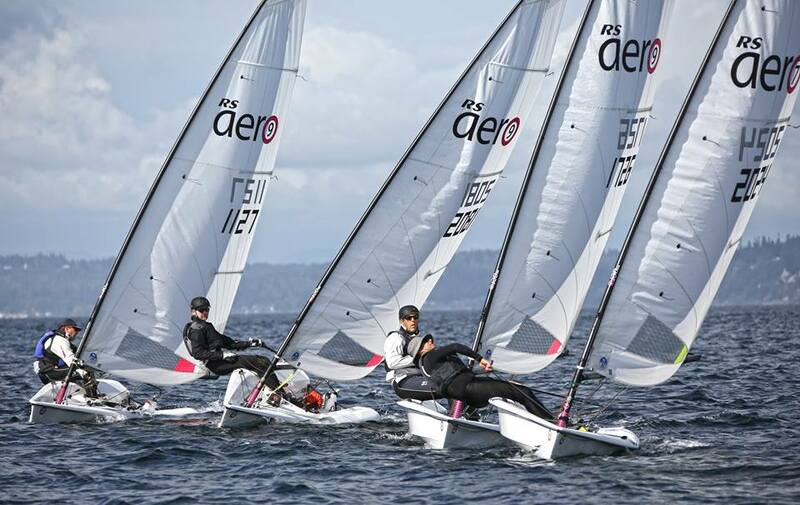 PSSC this year was held October 7-8 at Shilshole Bay, attended by 11 RS Aero sailors. Four races were held on Saturday in a 10 knot southerly before a rainy front came through from up sound and the fifth race was started in a choppy 16-18 knot northerly. Seven and nine rigs started and were scored as one fleet, and racing was close at every mark. Dalton Bergan (2024), one of two sailors choosing the 7 rig in expectation of heavier winds earlier in the day, showed excellent and consistent upwind and downwind speed and posted a day-winning 11 with two bullets. Doug Stumberger (2081), finding good lanes up the left hand side of the upwind course, tied on points for second, followed by the always-fast Todd Willsie (1127) in third for the day. A pig roast followed racing, and the CYC clubhouse was busy until late that night. Sunday was a perfect Pacific Northwest fall day, sunny and warm, with four races sailed in a bumpy 5 knot northerly with a mysterious rumored "double ebb" tide. All sailors raced the 9 rig. 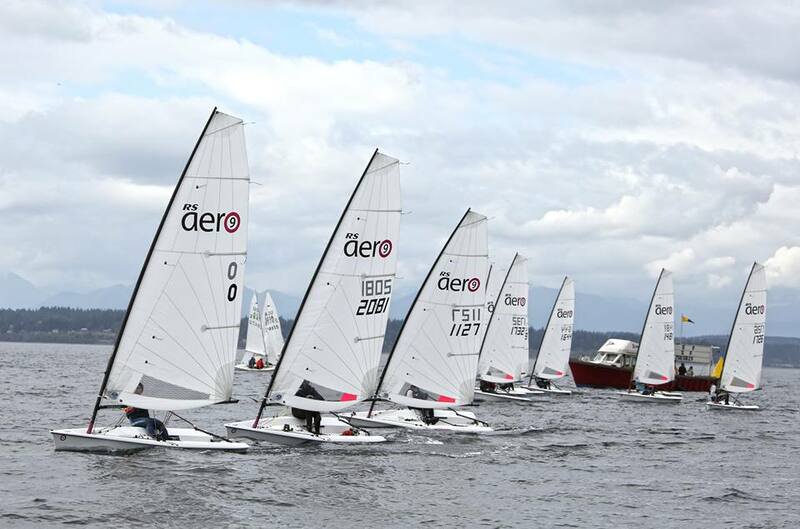 Dalton Bergan extended his lead, winning the day and the regatta with bullets in three of the four races on Sunday. Todd Willsie showed consistent speed and good decision making across all conditions to finish in second, with Carl Buchan (2019) moving into third. Special mention to great grandmaster Jacques Garrigues (1726), winning two races wire to wire and finishing fifth, and to Rob MacDonald, posting solid results on his first ever day of RS Aero sailing. All in all, nine races in a variety of conditions with a lot of sunshine provided for an excellent weekend of Aero sailing. Next up for the Seattle fleet is the start of our frostbite training series on October 21 and CYC's Turkey Bowl regatta in November. Photos above thanks to Jan Anderson. Her full set of photos from the regatta can be found at JanPix.